Krewe de Kinque Beer/Soda Bust! Join Queen XV Miss Chief and King XV Gooch of Krewe de Kinque as we host our monthly $10 Beer/Soda Bust at the EDGE. Win fabulous raffle prizes including 2 tickets to Heklinaâs Mother at Oasis, Champagne, California Wines, a $15 Starbucks gift card and a Haircut at Fellow Barbers! Support our fundraising efforts and buy jello shots for your friends. We'll have some of the best Drag and Live entertainers in the City. This is an open show with tips going to our next beneficiary via our Bal Masque Fund. 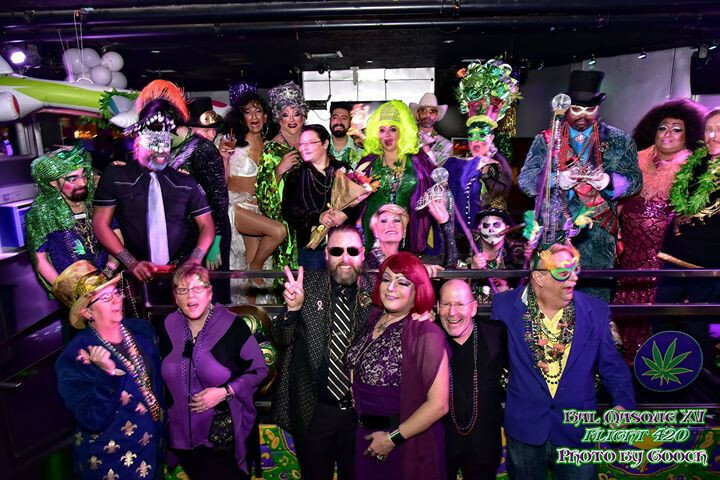 Krewe de Kinque is a social charitable club raising awareness & funds in the spirit of Mardi Gras in San Francisco since 2004.